Ready for beautiful architecture, compelling history, artisan wines, and good food — all in the heart of the Queen City? Whether you’re a local excited to be a tourist in your own city or you’re visiting for the first time, you’ll come away from this Cincinnati tour with a new appreciation of the city’s downtown. Best of all, you get to experience it while sampling an eclectic variety of artisan wines and innovative cuisine. Your wine adventure begins in the vibrant center of downtown Cincinnati, at the historic Carew Tower. Dating back to the 1930s, this National Historic Landmark features Art Deco architecture. 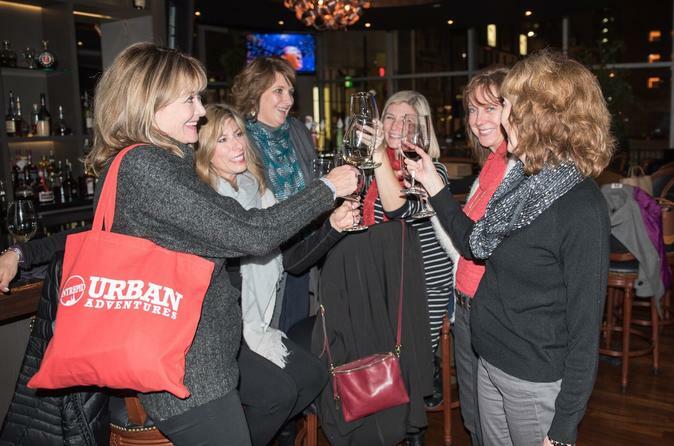 Next, it’s time to sip, savor, and stroll through Cincinnati as you tantalize your taste buds at three local restaurants or wine bars, all located within a few blocks’ walk. Sample red and white wines from Spanish vineyards and North America’s premier Pacific Northwest region, as well as a varied selection of food tastings, while learning about wine and how Ohio became the leading producer of wine in the United States during the 1800s. Along the way, hear quirky and interesting bits of Cincinnati’s history, giving you plenty of insight into a city that perhaps you didn’t know as well as you thought you did. Finish up with a short but visually stimulating stroll through a contemporary art museum, rounding out this perfect evening of wine, food, friends, art, and architecture.